I consider it an honor to stand before you today, to speak to the Shepherds and Pastors of Christ's rational flock, and in particular to the successors of the great work begun in the Russian Diaspora by such holy ones as St. John the Wonderworker and Metropolitans Anthony, Anastasi, Philaret, and Vitaly, Archbishop Averky and Metropolitan Laurus and many others, who are revered fathers not only of the Russian Church Abroad, but indeed of the Church Catholic. The witness given by the Fathers of the Russian Church Outside of Russia with regard to the Holy Tradition, the monastic and ascetic ideal and in particular the ecclesiology of the Church, continues to inspire and guide Orthodox throughout the world. Today, as the Ark of the Church sways in the wake of the passing of the self-styled 'Great and Holy Council" of Crete, we have great need of their exactitude in life and faith - or, better, we have great need to follow and imitate them in these. We will focus, in particular on those aspects of the gathering which represent departures from the Holy Tradition and Holy Faith of the Church, for these necessarily merit a response from the fullness of the Church. The success of the meeting was the meeting itself! This is just a beginning and it will be improved upon! Nothing of consequence transpired, so there is no need to make a fuss! We can all be sympathetic to the "power of positive thinking," however, I am afraid all of these nice thoughts only function to skirt the issue: what of the "Council" itself? What of its decisions and its impact? One cannot be expected to believe that we've waited more than 50 years (or by other counts 100!) for a grand council the main purpose of which was. . .to happen! Certainly, whatever happened in Crete will and already has impacted the Church (in some places greatly) and will become a precedent for the future. Indeed, it is for this reason that those clerics who ignore it or downplay it do so to their own - and their flock's - detriment. In the history of the Church, councils - whether false or ecumenical - are either accepted or rejected by the pleroma [the fullness] of the Church. They are not and must not be ignored, especially when they innovate and introduce false teachings into the Church. Just as a fall must be repented of, not swept under the rug, so too errors introduced and accepted in council must be rejected and corrected [ideally in council]. We do not ignore illnesses when they infect our body. How much more should be our care for the Body of Christ! We are all co-responsible, bearing one another's burdens. Let us begin by looking briefly at the basic statistic composition of the "Council:"
Representation of Orthodox Christians: close to 30%. Total number of Voting Bishops: 10 of the 162 bishops present (6%), or 10 of the 850 bishops in the Orthodox Church (1.1%). If we compare this with the truly "Great and Holy Councils" of the Church, those later recognized as "Ecumenical," the difference is enormous, especially when we consider the obstacles the ancient hierarchs faced in terms of travel and communication. For example, the First Ecumenical Council had 325 fathers, the Fourth 630 fathers and the seventh 350 fathers - all of which participated with the right to vote. What, then, did the world go to Crete to see? A "Great and Holy Council"? What went they out to see? A free gathering of the Orthodox Bishops from around the world? Behold, most of them were not invited and nearly all that came were not given a vote. So, what went they out to see in Crete? "A council of primates with their entourages." This last phrase - "a council of primates with their entourages" - is how Metropolitan Hierotheos Vlachos of Nafpaktou characterized the gathering, which he attended and which he now severely criticizes for introducing novelties with regard to our Faith. The great irony and tragedy is that for all of the organizers' grand claims that conciliarity had led to and would be on display in Crete, it was rather a new eastern form of Papal primacy - of the Primates - which took center stage. The tragic irony is that while representatives of the Ecumenical Patriarchate criss-crossed internet highways touting the conciliarity of the pre-synodical process and Council-to-be, the Holy Synods of the several Local Churches were only beginning to examine the orthodoxy of the texts accepted by their Primates without their approval. This illustrates that the failure of this "council of Primates with their attendees" was assured ahead of time. Six meetings of the "Inter-Orthodox Preparatory Commission"
Three gatherings of the "Special Inter-Orthodox Commission"
Two academic conferences, on the issue of a common ecclesiastical calendar and a common celebration of the feast of Pascha with the heterodox and another on contemporary bioethical issues. And one academic conference on the issue of the Ordination of Women in Rhodes, in 1989. One has to ask: what was at fault, that, in spite of so much work - unique in the conciliar annals - we've had such a tragic outcome? We have an expression in Greece: "a good day is apparent from the outset." Well, the opposite is also true in the case of the grand council. Early on in the conciliar process it was apparent that the normally sunny Crete would not shine brightly for Orthodoxy. As I have examined elsewhere at length, the visionaries behind Crete sealed their Council's fate to not follow the Holy Fathers by imbibing the "spirit" of another, even grander and thrice-flawed gathering of recent memory: the Second Vatican Council. The two councils shared common roots and beginnings, a similar methodology and similar aims, and at least a superficial allergy to dogma. Both gatherings aimed at, and claimed to, solidify their hierarchies' commitment to ecumenism and both allowed for their conciliar decrees and documents to be shaped by academic theologians. And, most importantly, both gatherings saw the introduction of a new "inclusivist" ecclesiology, foreign to the Church's Faith in the One, Holy, Catholic and Apostolic Church. However, discernment of the methods of the fallen spirits, or demonology, is a requirement in the formation of Christology and Ecclesiology. As the Evangelist John writes, “For this purpose the Son of God was manifested, that he might destroy the works of the devil” (1 John 3:8). The absence of any mention of the evil one or his machinations (heresy, schism, etc.) from any conciliar text is indicative of a worldly, secularized outlook, not the patristic mindset. Finally, following Vatican II and not the holy fathers, the "Council" in Crete not only made no reference to heresy but invited representatives of heretical confessions to attend as observers, including those recognized as such by previous Ecumenical Councils. Although unprecedented in the history of the councils, it had been practiced in the Vatican councils, confirming once again the spirit and mindset which unfortunately animated the organizers. Let us look now more particularly at the conciliarity (or lack thereof) of the pre-synodal period and the Council itself. The unity of the Church is manifest and molded through conciliarity. As the 34th Apostolic canon states: "for so there will be unanimity, and God will be glorified through the Lord in the Holy Spirit." When the conciliar way is lost the first and often immediate victim is the unity of the Church. A careful examination of the "Council" of Crete in this regard reveals that, paradoxically, there occurred a "conciliar" abolition of conciliarity. In the history of the Church, with the exception of the robber councils, no other council showed so much disdain for the very meaning of conciliarity as did the "Council" of Crete. Firstly, the people of God, the pleroma of the Church (which includes clergy, monastics and laymen), was bypassed entirely in the run-up and execution of the "Council." This is not only a major oversight, it is a serious ecclesiological flaw. The Orthodox Patriarchs declared to the Pope in 1848 that in the Church of Christ "neither Patriarchs nor Councils could have introduced novelties amongst us, because the protector of religion is the very body of the Church, even the people themselves...". However, not only was the body of the Church kept in the dark but even much of the hierarchy itself. The majority of the bishops and even synods of the Local Churches were uninvolved in the preparation of the "Council," including the drafting of its texts. In this regard, we recall the painful cry of protest issued by Met. Hierotheos of Nafpaktou months before the "Council" that the pre-conciliar texts "were unknown to most hierarchs and to myself, remain hold-up in committee and we don't know their contents." It is not overstating our case to state that the judgement of the Seventh Ecumenical Council with regard to the false iconoclast council of Hieria is applicable here: "their things were said as in a corner, and not upon the mountain of orthodoxy." This is because those responsible for the preparation of the texts knew very well the people of God's opposition to the problematic texts and for this reason refused to publish them. As is apparent from the minutes of the 5th (and final) Pre-Conciliar Conference (in October of 2015), it was only upon the insistence of the Patriarchate of Georgia and (later at the Synaxis of the Primates in January of 2016 - just 5 months before the "Council") the request of the Patriarchate of Moscow that the texts were finally released to the Church. With this in mind, then, one can better understand why four Patriarchates ended up pulling out at the last minute. "With regard to the text 'Relations of the Orthodox Church with the Rest of the Christian World' serious review and correction was, unfortunately, proven impossible, because for most of the meeting...in spite of the disapproval of many and the sharp criticism exacted, the text - for reasons never divulged - was not seriously re-evaluated. Rather, it was sent on as is, essentially untouched, to the Council, where, due to a lack of time and consensus, only cosmetic changes were made." A careful study of the minutes of the 5th Pre-Conciliar, Pan-Orthodox Conference (October of 2015) reveals that the work was carried out in a atmosphere of pressure and haste with responsibility for this resting with the president of the meeting, Met. John of Pergamon, who was subsequently replaced. It is apparent and a view commonly held among critics of the "Council" that one of the main causes for turning Crete into a "fiasco" was this anti-synodical, unorthodox methodology and pre-conciliar secrecy enforced by the organizers. We said previously that the hierarchies of the Local Churches were kept in the dark with respect to the preparatory period and texts. This is also apparent when one considers that the rules of preparation for the Council only required the signatures of two representatives of each Church in order to confirm the pre-conciliar texts - that is, without the approval of the Holy Synods. Thus, the unorthodox text on the heterodox was considered "approved" by the Local Churches after the October 2015 meeting without being sent, without being discussed, and without being confirmed by the Holy Synods of the Local Churches. In this way, on the strength of two representatives' signatures, the text was considered accepted and binding for the Church of Greece, and then forwarded to the Council. Where is the conciliar character of the Church at work here? But that is not all. For the text to be amended, or even one phrase of it to be changed in Crete, it required the approval of all the Local Churches. If only one disagreed with the change, it remained as it was because it was considered already approved by all the Churches at the 5th Pre-Conciliar Conference! Once again, here we can see why the Churches of Bulgaria and Georgia declined to attend: they understood that essential changes to the texts would be impossible. This same process was at work with the Rules of Operation for the Council itself. The texts were approved by the Primates (with the exception of the Church of Antioch) without discussion or approval of the Local Church Hierarchies. Objectionable and unfortunate as the pre-conciliar process appears, it is rather benign in comparison to the pinnacle of disdain of conciliarity on display at the Council itself. There the right and proper function of each bishop to vote on the proposed texts was scorned and denied and reserved for the Primate alone. Unbelievable, unprecedented, and total inadmissible canonically speaking. The irony is that many of the bishops in attendance enthusiastically declared that there was great freedom and ease for the bishops to speak. While this is significant, it is obviously secondary in importance to voting. What matters is not who speaks first but who has the last word, that is, who decides. Even if all 152 non-voting bishops disagreed with a word or passage or even an entire document, it mattered little, for the votes of the 10 Primates was all that was registered. As is well known, according to Orthodox ecclesiology, bishops are equal. The Primate is not above all the bishops. Rather, he is the "first among equals." In this context, then, does not the practice in Crete to recognize the vote of the Primate alone, and not that of the whole of the hierarchy, represent a fall from conciliarity and slide into papism? This "papal" elevation of the Primates is extremely dangerous for the entire Church, for besides meaning the abolition of conciliarity in each Local Church, it will quickly lead to the Primate of Primates being elevated to the status of Pope of the East sine paribus (without equal), to use the preferred term of Met. Elpidophoros of Brusa. Allow me to provide three examples which illustrate that in Crete there occurred a "conciliar abolition of conciliarity." Before the "Council" of Crete, the Hierarchy of the Church of Greece unanimously agreed and stated their position that in the conciliar texts heterodox communities must not be referred to as "Churches." The hierarchy mandated that the Archbishop and his entourage convey and champion this decision. There was no conciliar authorization for any modification of the decision of the Hierarchy. Nevertheless, the Archbishop of Athens and his entourage (with the exception of Metropolitan Hierotheos of Nafpaktou) changed their stance and voted for a modified version of the text in question (#6) which clearly contradicted the unanimous decision of the entire hierarchy. In doing this he and those with him disdained the 34th Apostolic Canon, which reads: "neither let him (who is the first) do anything without the consent of all; for so there will be unanimity, and God will be glorified through the Lord in the Holy Spirit." In our second example, of the Church of Serbia, we have an even more flagrant example of creeping papalism. The Serbian Church's entourage consisted of 24 bishops. Of these only 7 stood in favor of the final text on the Heterodox (#6). Seventeen of the 24 hierarchs refused to sign it. Nevertheless, because the Patriarch of Serbia was favorable and signed the text, the "Council" considered that the Church of Serbia accepted the text! Once again, the Council disdained the 34th Apostolic Canon which calls upon the First Hierarch "to do nothing without the consent of all." The irony is, of course, that while Orthodox representatives to the dialogue with Rome underline the need of the Vatican to base relations between a Primate and Local Church upon the 34th Apostolic Canon, the Pan-Orthodox "Council" violated it repeatedly. In our third example, we have the tragic anti-synodical and papal approach of the Archbishop of Cyprus. 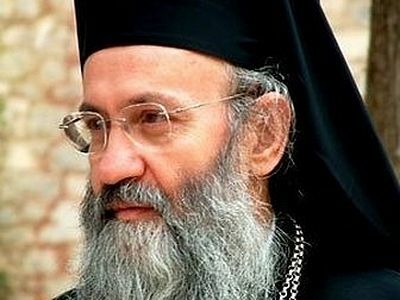 Four of the 17 bishops in attendance from Cyprus refused to sign the final text on the Heterodox (#6), including Metropolitan Athanasius of Lemesou. After these bishops had departed, the Archbishop's response was to sign it for them, as if he had their agreement! 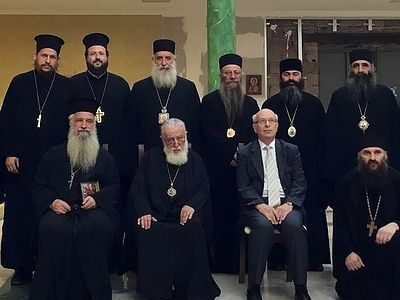 In an interview which he later gave to a Greek-American newspaper, the Archbishop characterized these dissenting bishops of his own Church as a "fifth column" at the Council. It is apparent here that these examples indicate not only a disdain for the conciliar system and even its abolition, but also contempt for the episcopal dignity by the "first hierarchs." These innovations and diversions were not only tolerated and accepted by the "Great and Holy Council;" upon them the "Council" was carried out. Indeed, without such anti-conciliar activity the "Council" would have disintegrated entirely. In hindsight, given the anti-conciliar foundation and the failure of the "Council" to unite the Orthodox, the following idiom is applicable: "a house is only as good as the foundation upon which it is built" (see Luke 6:48). The "Great and Holy" Council's house was not built on the rock of conciliarity - "it seemed good to the Holy Spirit and to us" - but on the sand of papalism - "our holy patriarch has spoken"! ... To continue reading, see the full post at Orthodox Ethos and watch a video of Fr. Peter's lecture here. Metropolitan Hierotheos (Vlachos), Intervention and Text in the Hierarchy of the Church of Greece (November 2016 Regarding the Cretan Council: https://orthodoxethos.com/post/intervention-and-text-in-the-hierarchy-of-the-church-of-greece-november-2016-regarding-the-cretan-council. This is but one of several alarming ecclesiological innovations introduced in Crete, superseded in gravity only by the acceptance of the self-contradictory "heterodox Churches." It was, however, the former - the sundering of conciliarity - which made possible the latter - the acceptance of the incongruity (if not monstrosity) that is "heterodox Churches." This is true in more than one way. If all of the bishops had had a vote, and not only the Primates, it is unlikely the offending text on the Heterodox would have been accepted. However, it is also the case that if the Archbishop of Athens had respected the the clear, conciliar mandate given him by his hierarchy, which voted unanimously to refuse to accept the term "church" for the heterodox, he would not have accepted the specious and ill-advised "correction." See: From the Second Vatican Council (1965) to the Pan-Orthodox Council (2016): Signposts on the Way to Crete: https://orthodoxethos.com/post/from-the-second-vatican-council-1965-to-the-pan-orthodox-council-2016-signposts-on-the-way-to-crete. 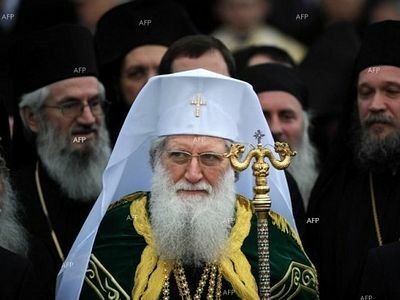 In an article dating back from when Ecumenical Patriarch Bartholomew was still a Metropolitan, in the journal The National Catholic Reporter, the Patriarch said the following, revealing his intentions for the Pan-Orthodox Council: “Our aims are the same an John's (Pope John XXIII): to update the Church and promote Christian unity... The Council will also signify the opening of the Orthodox Church to non-Christian religions, to humanity as a whole. This means a new attitude toward Islam, toward Buddhism, toward contemporary culture, toward aspirations for brotherhood free from racial discrimination...in other words, it will mark the end of twelve centuries of isolation of the Orthodox Church.” See: “Council Coming for Orthodox", interview by Desmond O'Grady, The National Catholic Reporter, in the January 21, 1977 edition. See also:http://orthodoxinfo.com/ecumenism/towards.aspx. In the texts of the Second Vatican Council matters are slightly better. In Lumen Gentium the devil is referred to four times, although in Unitatis Redintegratio he is not mentioned. The only exception to this latter case, is when the ecclesiological heresy of phyletism is mentioned in the Encyclical of the Primates, which is also quite indicative of the priorities of the meeting. See: J. S. Romanides, “The Ecclesiology of St. Ignatius of Antioch,” The Greek Orthodox Theological Review 7:1 and 2 (1961–62), 53–77. This section of my lecture is based extensively upon the excellent research and writing done by Fr. Anastasios Gotsopoulos, Rector of the Church of St. Nicholas in the Diocese of Patra, Greece, with his permission. Meetings Focused on the Church of Georgia's Response to the Synod in Crete Bulgarian Orthodox Church: Outside the Orthodox Church "there are no other churches, only heresies and schisms" Bulgarian Orthodox Church: Outside the Orthodox Church "there are no other churches, only heresies and schisms"